The original Rocky Mountain Chocolate Factory is THE destination for chocolate in Durango. Our chocolatiers make many of our sweets in store, for all to experience! Located at Vallecito Lake, this family owned business provides meat processing, supplies from our grocery, and a full liquor store. 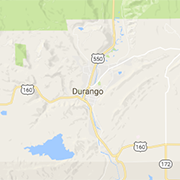 Conveniently located in the heart of downtown Durango. A proud member of the community for over 50 years, our knowledgeable staff is ready to serve you. Visit the gallery of award-winning photographer Claude Steelman. Featuring stunning landscapes and candid wildlife portraits, Wildshots showcases nature’s elusive beauty. Great literature is a page-turn away at our quaint shop, just off Main Ave in Historic Downtown Durango. We can’t wait to help you discover your next favorite paper companion. A Shared Blanket is a Museum quality Native American Gallery in Durango, emphasizing Navajo weavings, Zuni fetishes, Pueblo storytellers and pottery, baskets, and jewelry.